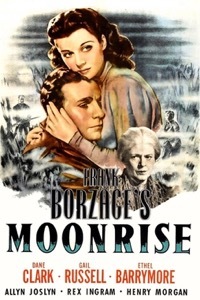 A small-town fable about violence and redemption, Moonrise is the final triumph of Frank Borzage, one of Hollywood’s most neglected masters. Stigmatized from infancy by the fate of his criminal father, young Danny (Dane Clark) is bruised and bullied until one night, in a fit of rage, he kills his most persistent tormentor. As the police close in around him, Danny makes a desperate bid for the love of the dead man’s fiancée (Gail Russell), a schoolteacher who sees the wounded soul behind his aggression. With this postwar comeback, Borzage recaptured the inspiration that had animated his long and audacious early career, marrying the lyrical force of his romantic sensibility with the psychological anguish of film noir, in a stunning vindication of faith in the power of love.